The Western New York Land Conservancy made a big announcement at their 25th Anniversary Gala on Sept. 21 – the Jackson Falls Preserve fundraising goal of $600,000 has been surpassed! The Golden Ballroom at Statler City was filled with thunderous applause and cheers as more than 270 guests celebrated this milestone in the journey to create the new 57-acre nature preserve on Hubbard Road in the Town of Aurora. The property features two magnificent waterfalls that were formed by a 2,000-foot long stretch of Mann’s Creek that flows through a 100-foot deep ravine. Its mature hemlock and beech woods, vernal pools and forested wetlands are home to migrating birds, breeding frogs and salamanders, and dense patches of rare wildflowers. The property also includes mature headwater forests, which, along with the wetlands, are vital to maintaining water quality in the Buffalo River and Niagara River watersheds. The Land Conservancy and the Friends of Jackson Falls, a 30-person group of community members committed to protecting the property, had only until Oct. 31 to raise the $600,000 needed to purchase the property and create the preserve. This was a daunting task, as it took two and a half years to raise a similar amount to protect Aurora’s Mill Road Scenic Overlook. This time, the Land Conservancy had only 10 months. The group, led by Nancy Smith of the Western New York Land Conservancy and Kerrie Gallo of Buffalo Niagara Riverkeeper, was up to the challenge. Donations began to arrive from the community and in May, the fundraising campaign reached the halfway point when the Land Conservancy received a $300,000 grant from the U.S. Fish and Wildlife Service. In July, the Gallogly Family Foundation gave a challenge gift of $20,000 for the protection of the land. Then, after nine months of intense fundraising, the Land Conservancy received a deluge of funding that brought the fundraising campaign past its goal. These contributions included a $200,000 donation from Barbara and Don Owens, a $20,000 donation from Kathy Lasher and Scott Bieler, a $20,000 grant from the Community Foundation for Greater Buffalo, a $20,000 donation from Sue Sunderlin and a $20,000 donation from John Quill Taylor. “As neighbors, we couldn’t stand the thought of this hidden gem being lost,” said Don Owens. Don, who is a Certified Professional Soil Scientist and founder of Earth Dimensions, recognizes the significance of the property to our region. “Our region’s geologic history is written on the walls of the gorge and on the giant rounded boulders that were glacially eroded from the Canadian Shield. Protecting this land will provide a place for future generations to learn those stories.” He and Barbara have long cherished this landscape just down the street from their home. Barbara said, “We know in our hearts that making this donation was the right decision.” The property will be named The Owens Falls Sanctuary in honor of Barbara and Don. 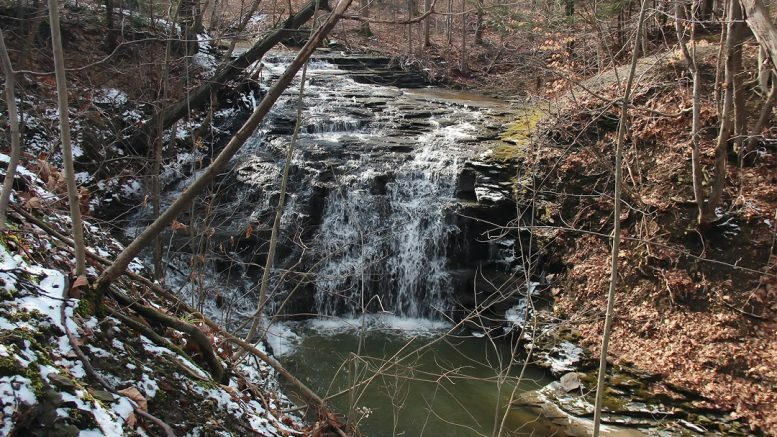 Thanks to these and many other generous donors, the Western New York Land Conservancy can now proceed with creating The Owens Falls Sanctuary. Be the first to comment on "Jackson Falls becomes Owens Falls Sanctuary after fundraising goal is surpassed"